If we want SL to have more than a quick 15 minutes of fame, we need to build a strong foundation under our virtual world. We live in a new era. Second Life just entered our real lives in 2003. There hasn’t been a lot of time for historians to write about what went on here before we arrived. This page will fill a small part of that need. 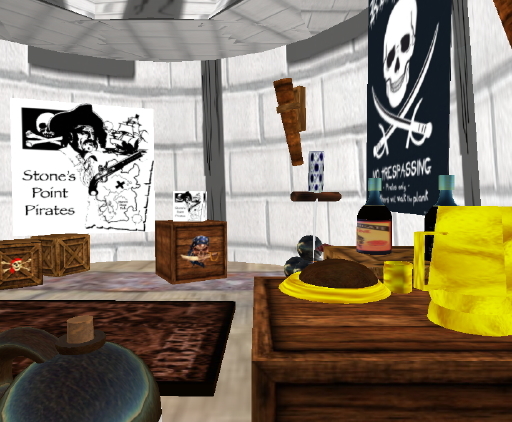 Most SL residents are not aware our virtual world has a history from before we all arrived. Most think this world was invented some time a few years ago in a big city far away. This is the time to recover and record our history so those of us in-world at this time as well as our descendants will be aware of our social, literary, political, economic and scientific history, and of our people, machines, artifacts and systems. Knowledge of Second Life before 2003 will help explain our lives from a community-development standpoint: where we have been, what we have overcome, and what we individually and cooperatively have achieved, sometimes against daunting technical and social odds. For many people, history is dull, dry, dreary. In fact, many imagine history is irrelevant to the present. However, the belief here is history is informative, stimulating,and encouraging to SL residents. It is my hope that this Second Edition page, with examples of individual courage and fortitude, can become an interesting and exciting way of disseminating information about our world before 2003 . With that knowledge should come a familiarity, comfort and tolerance across the whole SL world. The study of history is a living, vital activity. We can’t escape history. We’re all caught up in its effects. We live better, work more effectively and play with greater fun when we know something of the history that has produced the present moment. As every elementary school pupil knows, a bathysphere is a hollow metal ball, a spherical deep-sea submersible vehicle, which is unpowered and lowered into the ocean on a cable. The word bathysphere is from the Greek words βάθος (bathos), meaning depth, and σφαίρα (sphaira), meaning sphere. 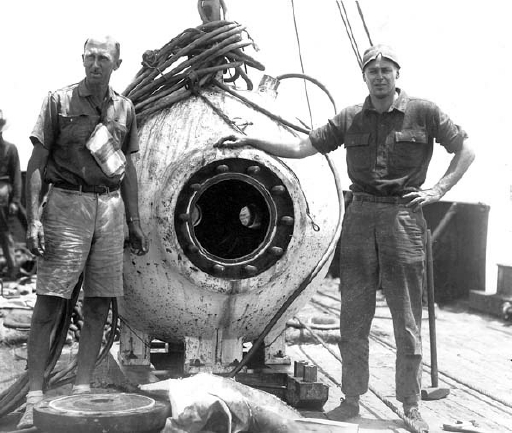 The first bathysphere was devised by Otis Barton in 1928. He called it a diving tank. In 1929, Barton hired an engineer, Captain John H. J. Butler, to construct a steel bathysphere. The steel was cast in New Jersey. The sphere was fitted with 3-in. thick windows made of fused quartz, which was the strongest transparent material in 1929. The entrance hatch weighed 400 lbs. and was bolted down for a descent into the ocean. Oxygen was supplied to those inside from a high pressure cylinder carried inside the sphere. Electric fans circulated the air over pans of soda lime to absorb CO2 exhaled by the passengers and calcium chloride to absorb moisture. For a trip into the depths, the bathysphere was suspended on a 1-in. cable. A solid rubber hose housed electricity and telephone wires used by the passengers to communicate with the surface. The entire vehicle, including the cable and lines, weighed 10,000 lbs. In 1932, Barton and Beebe made a world record descent to a depth of 3,028 feet (923 m). That record went unbroken for 15 years. The original 1929 bathysphere can be seen today at the New York Aquarium on Coney Island, New York City. Bathyscaphes are self-propelled bathyspheres used at extreme depths, far deeper than Stone’s Harbor waters. On a recent rainy day in Dotbyeul region, the 100m tall Stone’s Point Light guards ship traffic passing the bay in the haze. Stone’s Point is in the foreground and the 88,000 sqm Stone’s Point Park is beneath and behind the lighthouse. In more modern times, undersea exploration started in Stone’s Harbor near Stone’s Point Light after World War II. At first, adventuresome divers went down in pairs near depths of 130 ft. (40m). The development of compressed air increased divers’ depths to 250 ft. (76 m). Eventually, helium-oxygen mixtures extended the diving range to more than 2,165 ft. (660m). Later, bathyspheres were introduced, allowing explorers to go farther down than the 3,028 feet (923 m) depth of the 1930s vehicles. The last of the old-style round bathyspheres was abandoned and tossed up on the shore of Stone’s Harbor, not far from the location of the present day Stoneflower Gallery, where it rusted for years. Eventually, it was sold as scrap to steel recyclers from Gooruembalchi region. They processed it by re-melting and recycling it into structural steel joist-beams used as catwalks timbers in a natural food store in an upscale area of Linden Village. 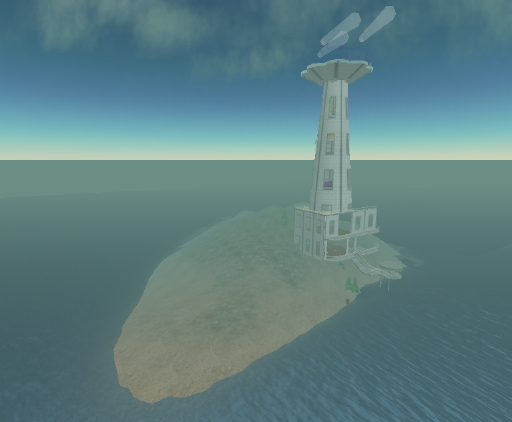 The Stone’s Harbor Bathysphere Research Station structure today is very different from the good old days. Unlike the old-style round steel bathyspheres, today’s are square structures of lightweight titanium metal, which is light and strong, and resists corrosion in sea water. Engineers say it is the perfect metal for undersea research stations. Where the original bathysphere in 1929 was a mere 4.75 ft. (1.5m) in diameter, the new titanium boxes stationed on the ocean floor are considerably bigger 33-ft. (10m) cubes. The old-style entrance hatches weighed 400 lbs. and had to be bolted shut for a tightly-sealed descent into the ocean. Today, explorers don’t even need a hatch because teleporting allows direct entry from anywhere in the world, without need of a door. Aerogel, the world’s lightest solid, is a dry gel made from silica. It was developed for use by NASA in deep space exploration. Today, it’s also used in hundreds of products ranging from satellites to surfboards. Its weight is nearly equivalent to the weight of air in the same space. Where the historic bathyspheres were uncomfortable, cold and mechanical for occupants, today’s are quite comfy, colorful and airy with walls that are nearly as transparent as their aerogel viewports. Inside the bathysphere, there is seating for five — a chair for the chief scientist at the control panel and four leather lounge chairs where other scientists can kick back to look up at a better angle for viewing the large port. Vehicle control and research data collection is communicated via a 4-lb. computer with integrated screen sitting on a glass and magnesium table in front of the chief scientist. The breathing gases in modern bathyspheres are recirculated, filtered and recharged with oxygen. 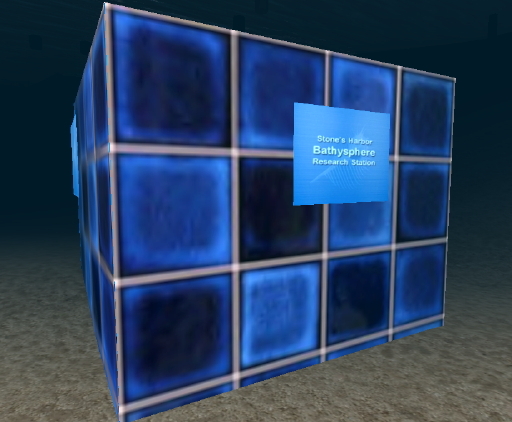 SL Society of Oceanologists maintains the Stone’s Harbor Bathysphere Research Station dedicated to the study of undersea marine life, including the many colorful species of fish and coral on the ocean floor. 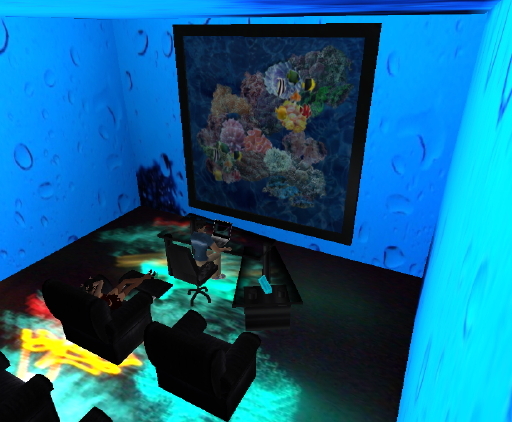 Marine biologists and other kinds of scientists devote multi-day tours of duty on the bottom to observing the flamboyant life of all kinds in the SL ocean. The station, in the Myungsimbogam region, is operated by the SL Society of Oceanologists group as a public service. This report has been compiled by leading historians at the Ivory Tower Library of Primi in Natoma from information in seven old memoranda, said to be in Redbeard’s own hand, found in sealed bottles aboard the sunken sloop Sparrow off Stone’s Point land on Dotbyeul coast in 1934. The old-world style of pirate speech has been retained for authenticity. Durin’ Th’ Golden Age o’ Piracy (1689-1718), numerous rogues pursued thar lawless ‘n murderous trade throughout th’ nascent Second Life world. Restrictive laws promulgated by th’ Linden Empire had made smugglin’ acceptable ‘n even desirable in many regions. Preyin’ upon lightly armed merchant ships, th’ pyrates commandeered thar contents ‘n sometimes scuttled those who resisted. Cause o’ its shallow sounds ‘n inlets, the sea coast along Dotbyeul, Similrae, Taerae, Dasom and Myungsimbogam became a haven fer many o’ these outlaws in th’ seventeenth ‘n eighteenth centuries. Cap’n Brody Redbeard was th’ most notorious pyrate in th’ history o’ seafarin’. Wit’ a beard that nigh-on covered his face, he would strike terror into th’ hearts o’ his victims, accordin’ t’ some early accounts, by weavin’ wicks laced wit’ gunpowder into his hair, ‘n lightin’ them durin’ battle. A big scallywag, he added t’ his menacin’ appearance by wearin’ a crimson coat, two cutlasses at his waist, ‘n bandoleers stuffed wit’ numerous pistols ‘n knives across his chest. Th’ sight o’ Redbeard was enough t’ make most o’ his victims surrender without a fight. If they gave up peacefully, he would usually loot thar valuables, navigational instruments, weapons, ‘n rum afore allowin’ them t’ sail away. If they resisted, he would often maroon th’ crews ‘n burn thar ship. Redbeard worked hard at establishin’ his devilish image, but thar be no archival evidence t’ indicate that he ever scuttled anyone who was nah tryin’ t’ scuttle ‘im. Redbeard’s lawless career lasted only a few years, but his fearsome reputation has long outlived ‘im. Thought t’ ‘ave been a native o’ The Mainland, he was usin’ th’ name Wally Slasher when he began his piratin’ sometime aft 1713 as a crewman aboard a Taeraen sloop commanded by th’ pyrate Cap’n Tobias Rotgut. In 1716 Rotgut appointed Slasher t’ command a captured vessel. By mid-1717 th’ two, sailin’ in concert, were among th’ most feared pyrates o’ thar day. 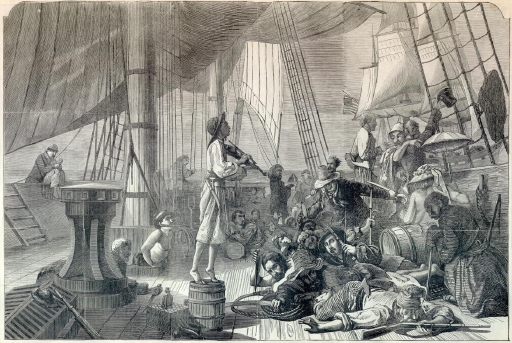 In November 1717, in th’ eastern ocean off Myungsimbogam, Rotgut ‘n Slasher looted a 26-gun, richly laden Similraen “guineyman” called th’ Lustre (research indicated she had originally been built in Katipo. Rotgut subsequently decided t’ accept th’ Linden Crown’s recent offer o’ a general amnesty ‘n retire as a pyrate. Slashed, on the other hand, rejected a pardon, decided t’ make th’ Lustre his flagship, increased her armament t’ 40 guns, ‘n renamed her Man Dogg’s Revenge or MDR. 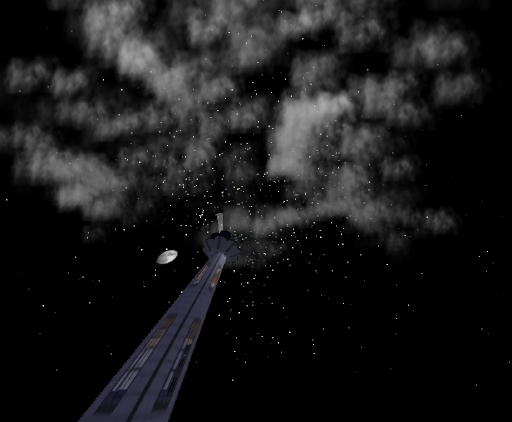 Shortly thereafter, th’ MDR encountered another vessel flyin’ th’ black Jolly Roger. Roughknuckles had been an educated ‘n wealthy landowner afore turnin’ t’ piracy. Aft invitin’ th’ Mathilde t’ sail along wit’ th’ MDR, Redbeard soon realized that Roughknuckles was a poor leader ‘n an incompetent sailor. He appointed another pyrate t’ command Mathilde, ‘n forced Roughknuckles t’ become a “guest” aboard MDR, where he remained, a virtual prisoner, ’til she wrecked six months later. Durin’ th’ winter o’ 1717-1718, th’ MDR ‘n Mathilde cruised th’ SL ocean, lootin’ prizes. Along th’ way, Redbeard decided t’ keep two more smaller captured vessels. When he sailed northward up th’ Taerae coast in th’ sprin’ o’ 1718, he was in command o’ four vessels ‘n o’er 300 pyrates. Redbeard’s reign o’ terror climaxed in a week-long blockade in late May 1718 o’ th’ main port o’ Dotbyeul near the site of the modern 100m lighthouse. One week later, th’ MDR was lost at Byeulddongbyuel Inlet. One o’ th’ smaller vessels in Redbeard’s flotilla, th’ ten-gun sloop Apathetic, was lost th’ same day while tryin’ t’ assist th’ stranded flagship. Afore leavin’ Byeulddongbyuel Inlet, Redbeard marooned about 25 disgruntled pyrates on a deserted sandbar, stripped th’ sloop Mathilde o’ her provisions, ‘n absconded wit’ much o’ th’ accumulated booty aboard another smaller vessel. Roughknuckles rescued th’ marooned scallywags ‘n, wit’ them, resumed his lawless ways aboard th’ Mathilde, which he re-named th’ Quincy Cooke after the famous Barbary Coast privateer Hobblin’ Quincy Cooke. In October 1718, Roughknuckles ‘n his crew were captured nigh present-day main port of Myungsimbogam, ‘n taken t’ Dotbyeul, where they were tried fer piracy. All except four were found guilty. All o’ th’ rest except Roughknuckles were hanged that November 8th. Th’ log o’ that trial, published in Noonkkot in 1719, provided researchers wit’ important clues t’ th’ location o’ th’ MDR site. Roughknuckles escaped briefly, but was recaptured ‘n then hanged on December 10, 1718. Meanwhile, Redbeard ‘n his confidants had sailed t’ Bathosphere, then th’ capital o’ Donggyeo, where they received pardons from Governor Ferdinand Napier who, himself, once had sail’d under th’ pyrate’s flag as “Doormat” Ferdinand Napier with his brother “Machete” Tad Napier. In November 1718, Governor Baird Blythe o’ Dotoorak, knowin’ that Redbeard ‘n his scallywags had continued lootin’ ships long aft th’ period o’ amnesty had expired, sent a Dotoorak Navy contingent t’ Dotbyeul, where Redbeard was scuttled in a bloody battle at Similrae Inlet on November 22, 1718. Durin’ th’ action, Redbeard received a reported five musketball wounds ‘n more than 20 cutlass lacerations afore dyin’. 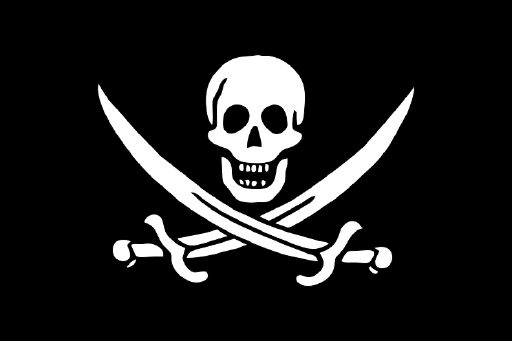 Redbeard had captured o’er 40 ships durin’ his piratical career, ‘n his death virtually represented th’ end o’ an era in th’ history o’ piracy in th’ Second Life world. In modern times, th’ 88,000 sqm Stone’s Point Park has arisen around th’ point o’ land holdin’ th’ 100m tall lighthouse, Stone’s Point Light, adjacent t’ th’ ocean in Dotbyeul. Th’ park, which extends into Similrae, Taerae, Dasom ‘n Myungsimbogam, commemorates th’ romantic ole-time seafarin’ lifestyle o’ th’ region. As ye walk th’ hills ‘n dales o’ th’ park, be on watch fer a strange-lookin’ sailor wit’ a peg leg, eye patch, hook ‘n polly. Ye might spy th’ ghost o’ Cap’n Brody Redbeard. known to have plundered the seas around Stone’s Point during the Golden Age of Piracy (1689-1718). Stone’s Point Spelunkers is an active club of explorers participating in the recreational sport of caving. Members of the SL group are deeply involved in original exploration of virgin cave systems with important goals of increasing understanding of our physical and biological sciences. Previously unknown caves are some of the last unexplored regions of our world and members are putting time and energy into locating and entering them. Gaining access to new caves often requires climbing, crawling, digging or diving, and ropes are used extensively. Depending on the cave, Stone’s Point Spelunkers are challenged by negotiating pitches, squeezes and water. Historians at Stone’s Point Academy are completing their research on caving in SL. Their full report will be published here as soon as it is completed. Note to readers: this Second Edition page will be edited from time to time. Acknowledgement: I am grateful to the historians at Stone’s Point Academy and its Second Life Center for Scholarly Research in Social, Political, Cultural, Psychological, Economic, Literary and Scientific History for their invaluable assistance in preparation and critical review of the world history manuscripts.